The Suffolk County SPCA announced today that it has rescued 2 horses from a Center Moriches location. Center Moriches, NY - July 25th, 2013 - The Suffolk County SPCA announced today that it has rescued 2 horses from a Center Moriches location. Roy Gross, Chief of the Suffolk County SPCA said that the SPCA received a complaint that the horses were emaciated. An investigation determined that the horses, one of which is a thoroughbred, were thin and had no feed or hay. On Monday, July 22nd, the horses were signed over to the SPCA by the owner and are being fostered. They require veterinary care and need a permanent home. The Suffolk SPCA is reaching out to the public for donations to help defer the cost of the horses' care and temporary fostering. Also, if you are interested in adopting one or both of these horses, please call the Suffolk County SPCA at 631-382-7722. 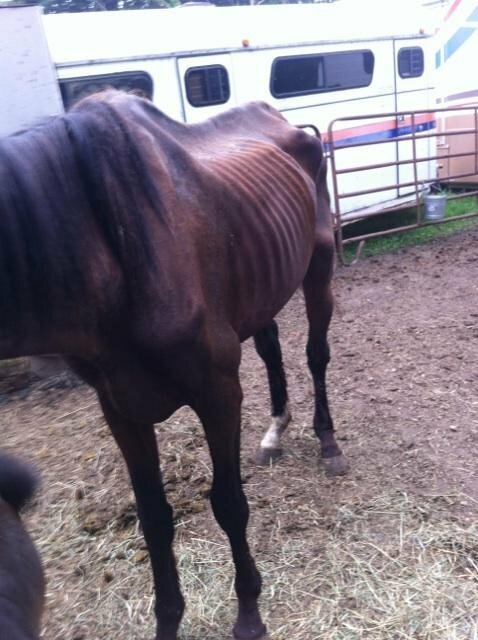 Subject: LongIsland.com - Your Name sent you Article details of "Suffolk County SPCA Seeks Help For Rescued Horses"